EUROPE has again postponed a decision on extending the approval of the non-selective herbicide, glyphosate, after the European Commission failed to reach a consensus on the issue last week. With the licence for glyphosate due to expire on December 15, the Commission’s Standing Committee on Plant Animal Food and Feed met on Wednesday to consider renewing approval for the chemical. But member states couldn’t reach agreement on a five, seven or 10-year renewal period for the licence, and no vote was taken. The impasse arose after the European Parliament on Tuesday passed a non-binding resolution to ban glyphosate by 2022, conflicting with the European Commission’s planned proposal for a 10-year renewal. The Commission is now working to find a consensus among member nations and expects to reconvene on November 9 to make a decision before the current approval expires. Writing on the Australian Farm Institute’s blog, general manager research, Richard Heath, said if an extension was not approved, it would essentially lead to the banning of glyphosate in Europe. “Despite the overwhelming balance of evidence pointing to glyphosate being safe, and essential for many farming systems, it appears that the vote will be going down to the wire in what has become an overly politicised process,” he said. The latest failure to reach agreement on an extension follows a similar scenario in June 2016 when the European Commission proposed renewing the licence for 15 years, but fell short of securing enough votes for the proposal to pass. Rather than let glyphosate’s authorisation lapse at the time, the Commission extended the licence for a further 18 months, leading to the latest attempts to resolve the issue. The future of glyphosate has been a long-running, contentious issue in Europe. 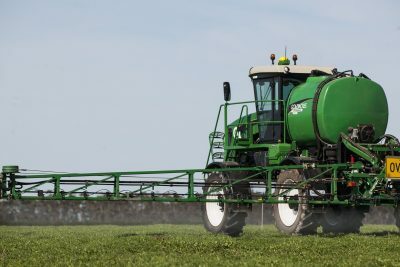 French and German farmers have been campaigning for its retention as an important herbicide in agriculture, claiming its banning would put European farm production and conservation agriculture practices at risk. The herbicide has been widely used in Australia for the past 40 years and has become a vital tool, particularly in no-till farming regimes. However, environmental activists and consumer groups in Europe have been calling for the chemical to be banned, citing a report in 2015 by the World Health Organisation’s International Agency for Research on Cancer that classified glyphosate as “probably carcinogenic”. Since then, other agencies – including the European Chemicals Agency (ECHA), the European Food Safety Authority, the UN Join Food and Agriculture Organisation and the Australian Pesticides and Veterinary Medicines Authority (APVMA) – have found there is no evidence to link glyphosate to cancer in humans. Speaking earlier this year, CropLife Australia chief executive officer, Matthew Cossey, said the independent scientific and evidence-based conclusions from bodies such as the ECHA and APVMA should be taken into account by the European Commission when deciding whether to renew the approval to use glyphosate as an active substance in pesticides. “The impact on Australian farmers from an erroneous decision to ban glyphosate in Europe would be far reaching, seriously affecting international trade as well as competitiveness. That is why the conclusion by ECHA is so important to Australian farming,” he said. Maybe the banning of glyphosate in the EU is grounds on its own for the UK to go ahead with Brexit. It is unfortunate that populist idealism may drown out the advances being made by scientifically based agricultural research. The ban on GM technology is another instance. Conservation farming with less tillage is now slowly being adopted in Europe, and the loss of glyphosate as a farming tool will be a significant setback.